Since the Mission: Impossible franchise got a revamping with Brad Bird’s Ghost Protocol, each film has made sure to include one (or multiple) stunts that seem impossible, but are one hundred percent real. The latest film, titled Fallout, had its trailer debut on Super Bowl Sunday and within its footage was what looked to be the franchises biggest and most dangerous stunt yet. As you watch trailer, it’s hard to differentiate what’s real and fake. High-speeding motorcycle through famous cities or ariel maneuvering through the snowy mountains, whatever it may be, there’s a more than likely chance that it’s real and not computer-generated. As highlighted in the new featurette for Fallout, we get a behind-the-scenes close-up at the insanity that Tom Cruise is up to this time, as he sits in behind a helicopter and actually performs that badass sequence from the trailer all by his lonesome. I can’t explain how excited and gitty I am for this new Mission: Impossible film. I continuously go back-and-forth between Ghost Protocol and Rogue Nation, trying to sway my feelings one way or the other. When it comes down to it, either way, it doesn’t matter because whichever outcome it is in only a fantastic sign. The franchise has done nothing but getter better as it ages, and with Christopher McQuarrie once again behind the camera and the main cast returning, it’s beginning to feel like this movie can do nothing but not just succeed, but blow us away with some incredible sequences. Check out the new featurette below. Also let me know your thoughts on everything Fallout in the comments! Did you enjoy the trailer? Do you have a favorite part? Are you surprised this helicopter scene is real? 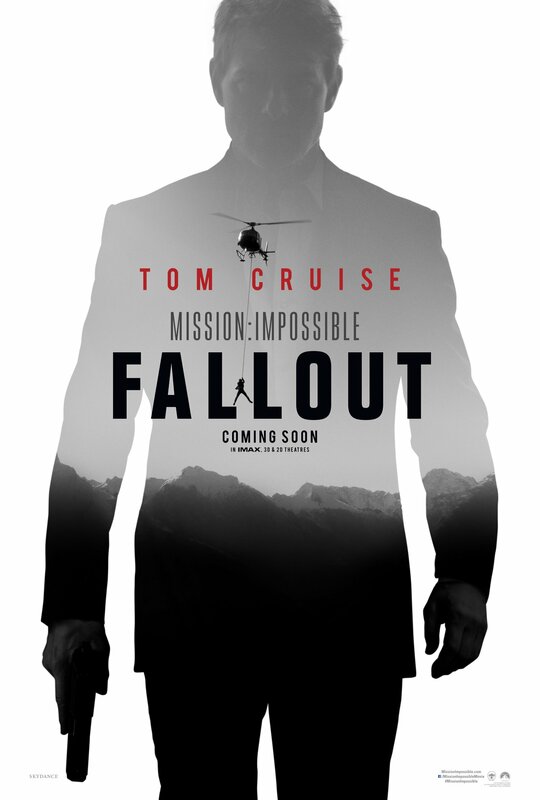 McQuarrie’s Mission: Impossible – Fallout also stars Rebecca Ferguson, Henry Cavill, Simon Pegg, Ving Rhames, Angela Basset, Vanessa Kirby and Alec Baldwin.